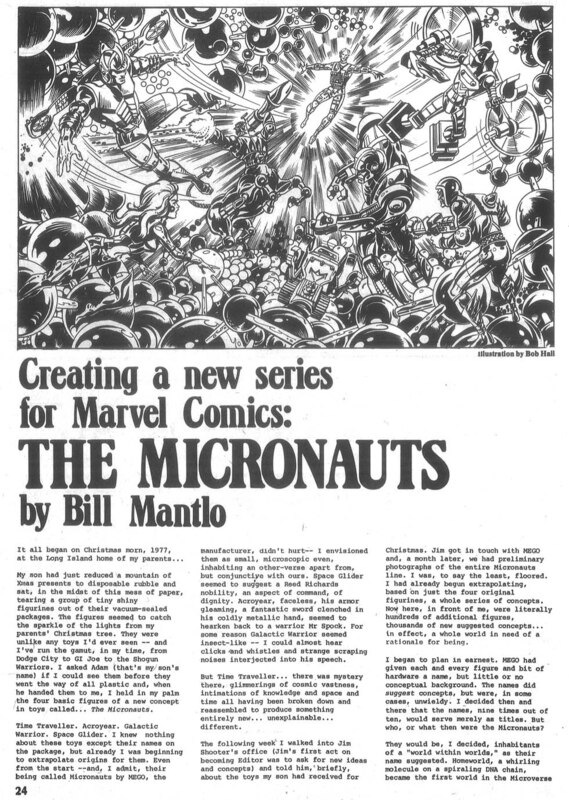 This is a nice little two-page article - by prolific Marvel scribe (and - for a long time - their go-to guy for licensed properties) - Bill Mantlo, first published in THE COMICS JOURNAL issue 40 (June 1978) on the origins of THE MICRONAUTS. As I've noted in various different posts, the diminutive warriors of the Microverse were Marvel UK mainstays between 1979 (when Dez Skinn launched them as a regular supporting feature in STAR WARS WEEKLY) and 1984 (their final regular appearance was their four-part team-up with the X-Men, reprinted in THE MIGHTY WORLD OF MARVEL volume 2 13-16). Along the way, they also appeared in STAR HEROES WINTER SPECIAL 1979, STAR HEROES POCKET BOOK and FUTURE TENSE. 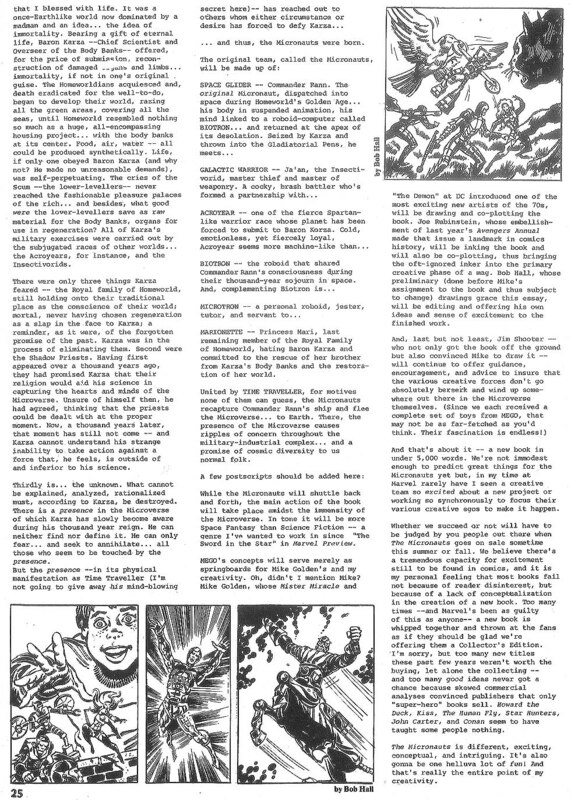 I own one of the original pages of artwork featured in that article!